India is such a diverse country, a culture so deep and rich and so unlike western culture that the only way to explore it properly is to dive right in. Our tailor made adventure tours give you a stunning overview of distinct areas of this beautiful country, with the aid of your own private guide. 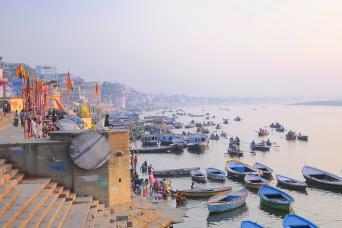 Our walking, cycling, wildlife and discovery tours of India will immerse you in the sights, sounds and colours of India. Uncover the mysteries of Northern India, or explore the highlights on our Taj, Temples and Tigers tour and indulge yourself in an immersive, life-changing adventure. We have carefully selected and researched our favourite walks so whatever your interests we can arrange your ideal walking holiday in India. The Taj Mahal, the bustling city streets of Delhi, the majesty of Jaipur's palaces and the Tiger filled oasis of Ranthambhore National Park. 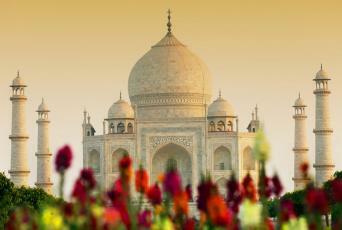 This easy going discovery trip takes in the highlights of Indian’s “Golden Triangle”. Experience the energy of Varanasi, beauty of the Taj Mahal, the bustling city streets of Delhi, the majesty of Jaipur's palaces and best of Northern India on this cultural discovery tour of Northern India.